Free webinar at 4pm CEST/8am PDT on the 25th of April 2019. Manufacturing drugs in living cells is an extremely complex process, which is currently managed using relatively crude analytics. Drugs such as monoclonal antibodies can have numerous critical quality attributes (CQA) – eg. glycosylation profile, HCP concentration or aggregation potential – that could impact their safety and/or efficacy, and need to be carefully assessed during development. Valitacell is establishing a suite of simple and cost-effective tools, based on fluorescence polarization technology, to enable CQA screening far earlier in the drug development process. During this webinar, we will present our approach to ‘filling the gap’ in the drug manufacturing process by combining Valitacell’s smart and fully-automatable analytics with Tecan’s detection and automation expertise to provide a high throughput screening approach for cell line development. This combined technology will provide users with answers to key questions as early as possible during cell line development, increasing the chance of identifying high-producing, stable cell clones in a reduced time frame. There will also be the opportunity to ask questions, discover tips and tricks in cell line development, and discuss how automation can help you save time and increase confidence in your analysis. A full recording of this webinar will be available to download after the event. 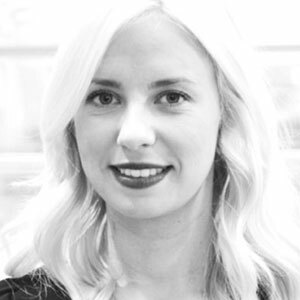 Dr Hannah Byrne is a Product Manager at Valitacell, and is responsible for developing the product strategy for the Valitacell Quantum fluorescence polarization platform. Prior to joining Valitacell, Hannah held the position of Research Scientist at Kymab Ltd in Cambridge, England. Hannah holds a PhD in Biochemistry from Dublin City University, Ireland.